The use of focused energy delivery in robotic assisted surgery for atrial fibrillation requires accurate prescription of ablation paths. 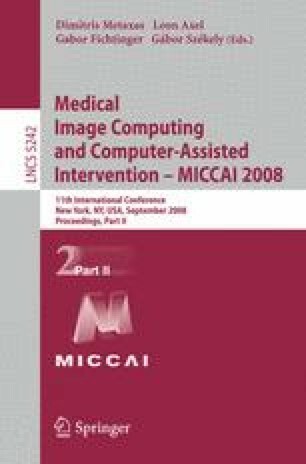 In this paper, an original framework based on fusing human and machine vision for providing gaze-contigent control in robotic assisted surgery is provided. With the proposed method, binocular eye tracking is used to estimate the 3D fixations of the surgeon, which are further refined by considering the camera geometry and the consistency of image features at reprojected fixations. Nonparametric clustering is then used to optimize the point distribution to provide an accurate ablation path. For experimental validation, a study where eight subjects prescribe an ablation path on the right atrium of the heart using only their gaze control is presented. The accuracy of the proposed method is validated using a phantom heart model with known 3D ground truth. Electronic supplementary material is available for this chapter ( 10.1007/978-3-540-85990-1_42).